Stolen Childhood in Conflict. North Kivu, Democratic Republic of Congo. For Save the Children UK. Rolling hills in Masisi Territory, North Kivu Province. The province is home to dozens of armed militias and rebel groups. 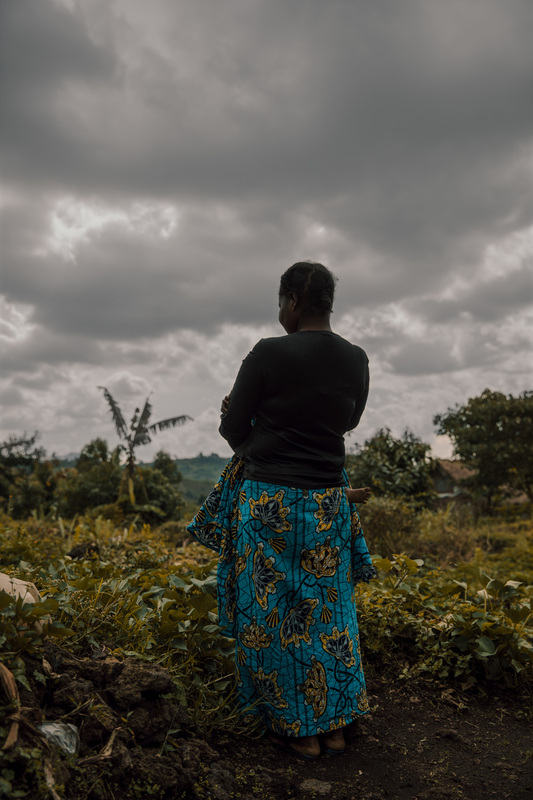 Sarah* was 15 when she was raped on her way back home from a visit to the hospital, in a vicious attack that left her pregnant. Alice*, 16, in North Kivu, DRC. Alice* was gang-raped on her way home from school and then forced to marry one of her attackers. Three young former child brides and victims of sexual violence walk together through an IDP camp in North Kivu. Nzitonda*, 14, a former child soldier. He was made to fight in bloody field battles against the Congolese armed forces. These scenes are embedded in his memories, and he frequently has nightmares that bring them back to life in his head. Emily*, 16, was in her final year at primary school when she was abducted by an armed group, raped and forced into marriage. 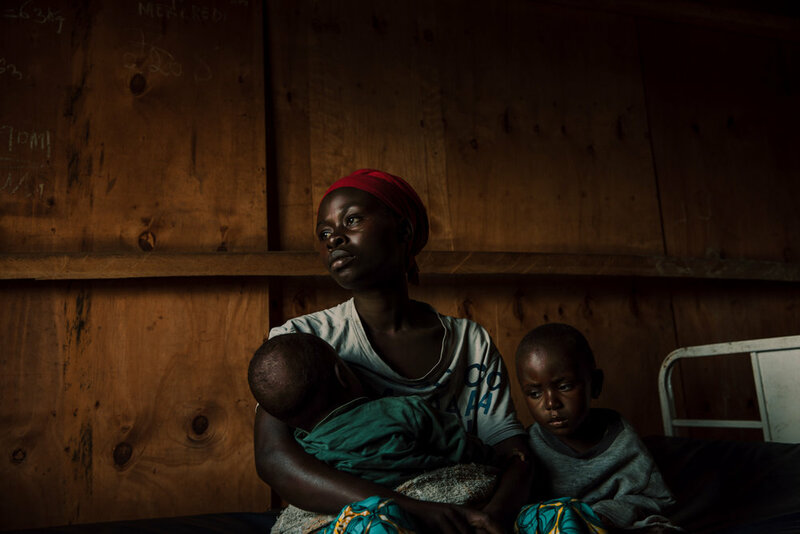 Former child bride Amani* with her young child, at an IDP camp in North Kivu. Anita*, 16, was kidnapped and forced to marry a fighter when she was 15. Uwase*, 17, was ambushed in the bush and raped. She receives medication and support in the IDP camp she resides in from Save the Children. A former child bride at home with her mother in an IDP camp, North Kivu. Young survivors of violence often face stigma and issues reintegrating. A group of mothers wait for appointments at the clinic in an IDP camp in North Kivu. 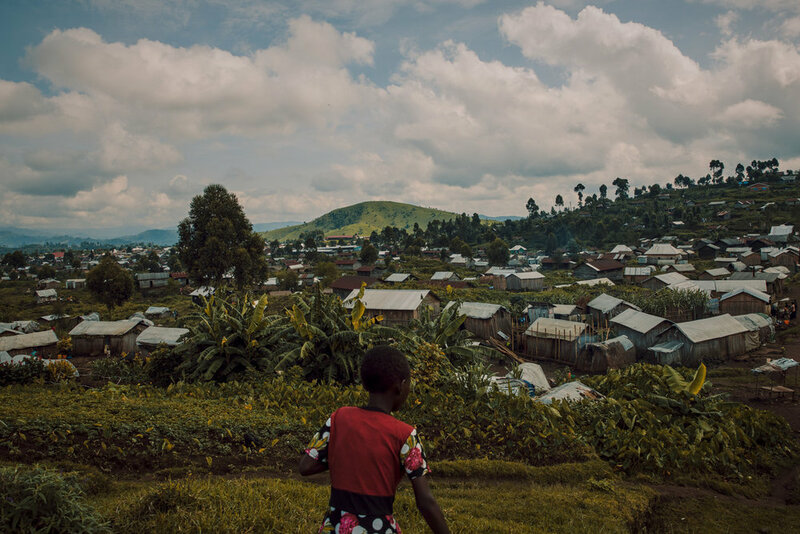 Settlements of persons displaced by conflict in North Kivu. Kikandi*, 14. A commander welcomed Kikandi* into his armed group. He was subjected to a mystical initiation ceremony involving rituals and juju potions. He was told that he would be invincible. A demobilised child soldier looks out from his home in an IDP camp in North Kivu. When conflict broke out, Nsii* was recruited by friends to join the local armed group. Having learnt to load and fire a rifle, Nsii* was sent into battle, where he witnessed many of his friends killed.